Going through a bankruptcy can be a stressful time in your life, however, you should know that you are not alone. Not only are there many other consumers like you who have been down a similar path but this is also not a process that has to be as devastating as it may sound. You do have options when it comes to buying another vehicle when you look for bankruptcy used car loans in Temple Hills with a dealership that you can trust. It used to be that you would have to try to wait until your credit was fully repaired in order to even think about financing another vehicle after bankruptcy. The fact of the matter is that there are many lenders out there today that understand nobody is perfect and that shoppers with a bankruptcy on their credit deserve the chance to show their creditworthiness. It is all a matter of knowing what to look for so that you can get the right deal to suit your needs. Of course, taking some steps after your bankruptcy to work on your credit will help you immensely. It is all about trying to do what you can to get your numbers back up so that you can enjoy a better loan rate. You should just be aware that taking the steps to fully rebuild your credit could take you roughly six months before you start to see a positive impression on your credit score. In the meantime, you can work to see what lenders will give you the best loan rates in terms of bankruptcy used car loans in Temple Hills and the surrounding area. From there, it is all about finding the right loan for your finances and your goals for a newer vehicle. 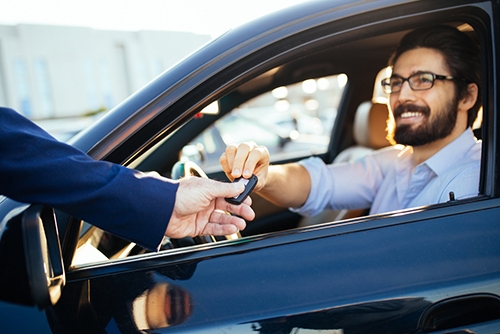 The great news for many shoppers that simply cannot wait to get another vehicle is that there are auto lending companies that actually specialize in dealing with consumers that have been through a span of bad credit. These companies are not a type of scam, rather they are able and willing to take a bit of a risk to work with you. You do have the ability to find quality bankruptcy or bad credit loans that will help you to drive away happy in the right vehicle. Whether you have a big down payment to lighten the load or you are ready to accept the terms that you need to in order to get a good loan after your bankruptcy, Expert Auto is there to assist in the process. We have the professional finance team on hand to go over every detail with you so that you can find the right loan for a used car. It is possible to get great bankruptcy used car loans in Temple Hills when you work with Expert Auto. Call us today at (866) 429-0970 for more information on financing.